The iQ Traveller 20™ is a rugged case on wheels that makes syncing and charging up to 16 iPad or iPad Air devices quick and easy. Transport up to 20 iPad or iPad Air devices. Please note: The video above is of the old iQ Traveller 16 case. The new and improved case is the iQ Traveller 20 which holds up to 20 iPad devices. Click here for more information on the iQ Traveller 20. 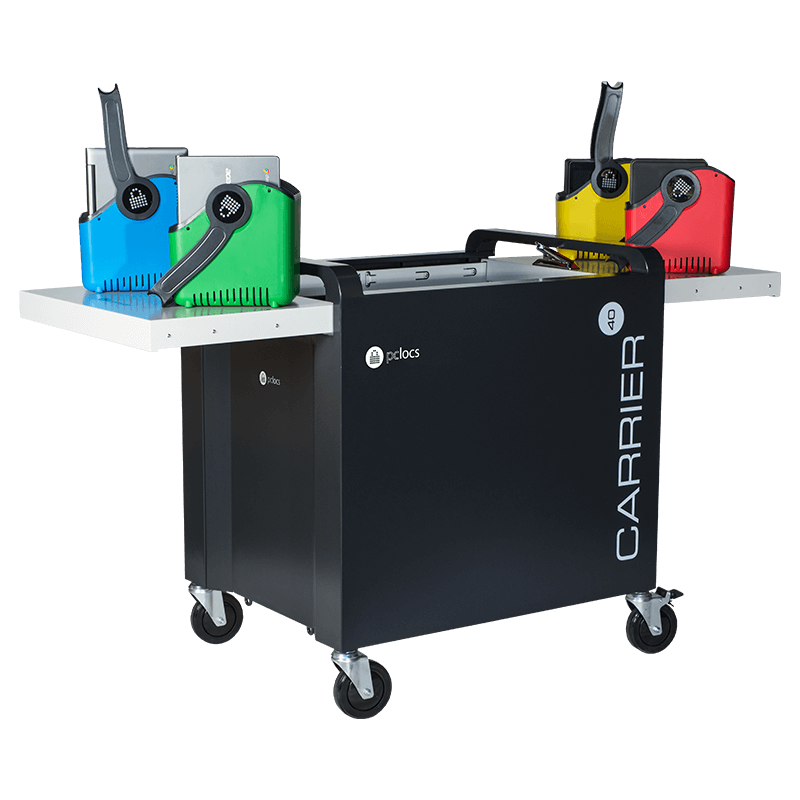 The PC Locs Revolution ECO™ 16 and 28 Bay Trolleys can store, charge, secure and transport your Laptops and Chromebooks. 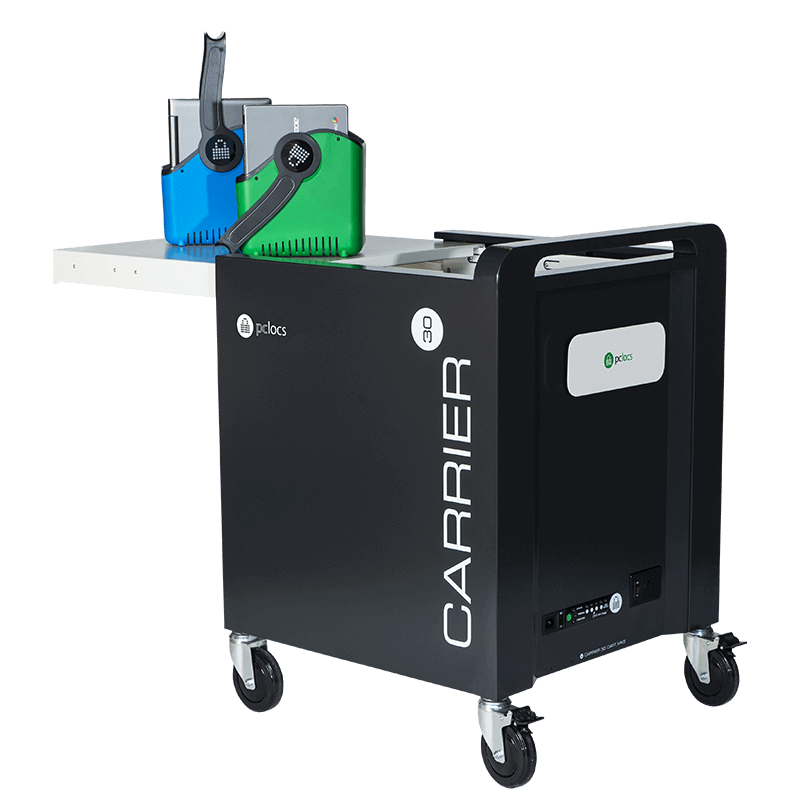 With the ability to securely transport up to 16 or 28 devices, you can make almost any classroom a computer lab. 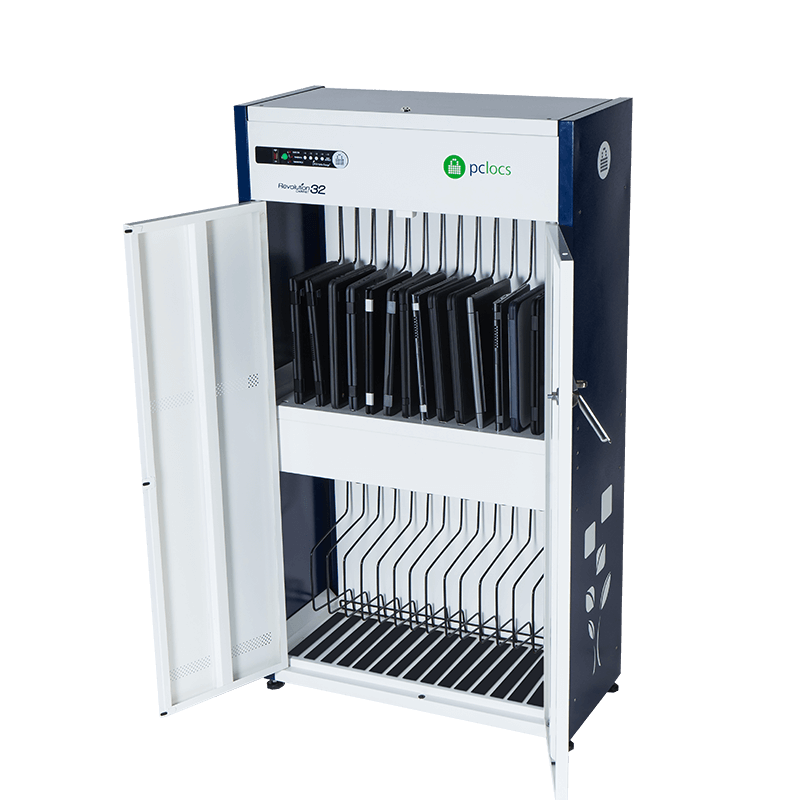 The Revolution ECO™ Wall Cage is the perfect fixed storage and charging solution for Chromebooks and Laptops. Convert and create any room into a computer lab with the Wall Cages.